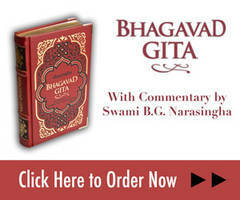 Prabhupada Vijaya – Our New Publication! 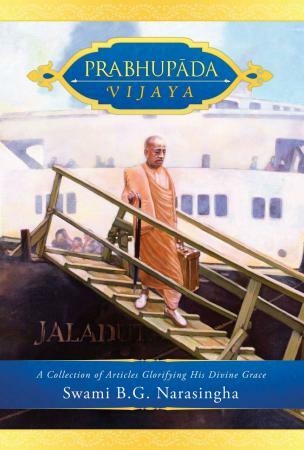 Gosai Publishers has recently released its new publication, 'Prabhupada Vijaya' by Swami B.G. Narasingha. This collection of articles and talks by Narasingha Maharaja is a supremely beautiful glorification of Srila Prabhupada and a delineation of the guru principle found within Gaudiya Vaisnava siddhanta. In India, Prabhupada Vijaya is available at Govindaji Gardens and Sri Sri Radha-Damodara Temple.